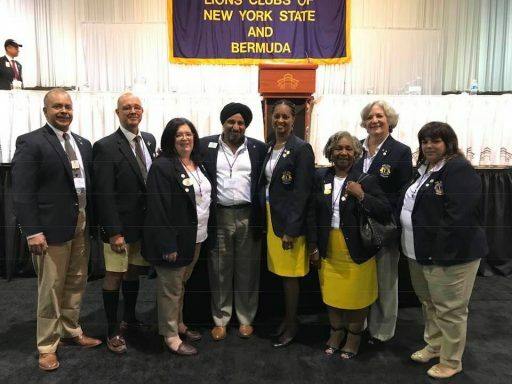 The activities of Lions Clubs in the NYC Metropolitan area. As soon as hurricane Harvey hit Texas, Suzzanne Piccolo, Governor of the Lions District 20K2 for Nassau County and Bermuda, started making phone calls. 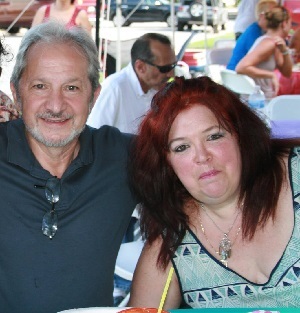 At first it was to find out whether family and friends who live there were safe, but within few hours, even before the hurricane had completed its destructive work, Suzzanne, Sue for the friends, went into high gear to collect various materials to help her brothers and sisters in the Lone Star State. For the people who know her, it’s not a surprise, since she is always planning some kind of rescue, collection or other to help people in her community, but this new project was certainly large and challenging even for her, without any support from other entities. 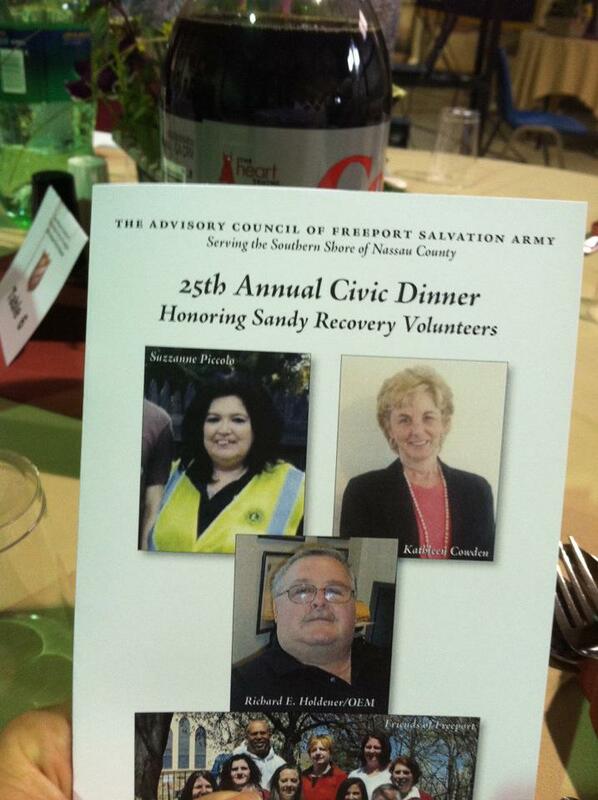 So, Sue contacted Betty Ezell, Governor of Lions District S-S2 in Houston, who was excited and pleased to hear from her and immediately collaborated, along with Victoria “Vicky” d’Angelo Tompkins from the “Friends of Conroe”, to find someone who would provide the truck for the transportation of the collected provisions. 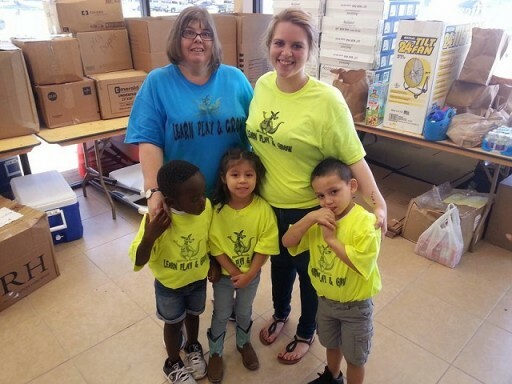 Very young volunteers who assisted with the unloading and distribution of the supplies in Texas. 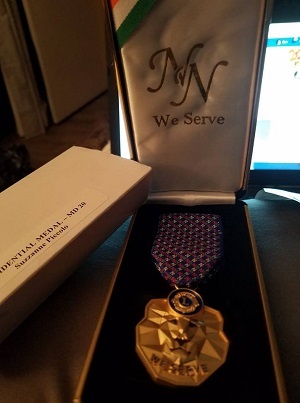 The key person turned out to be Tracey Mann, President and Founder of the Phoenix Charity, who donated the truck needed for this marvelous deed. 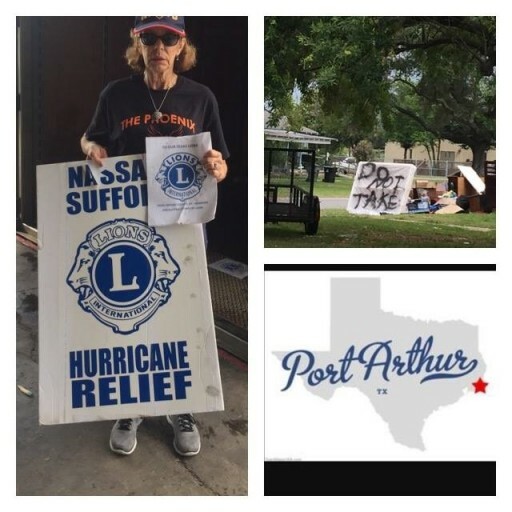 Members of the “Friends of Conroe” and of the Lions in Texas offered to do the unloading and distribution of the materials when delivered. Having solved this issue, Sue took a long breath of relief, since the collection was going full speed, thanks also to Suffolk County Lions from District 20S, led by Richard Irizzarry, who had started a collection of their own and re-directed the collection to The Cop Shop, the Massapequa store owned by Sue and her husband Sal, which had become the location of temporary storage for Long Island’s collecting activities. Soon, though, the materials collected proved to be a challenge for the truck supplied by Phoenix Charity. The generous stream of supplies of all kind kept on flowing after the truck left and one more truck was needed. Phoenix charity offered once more their help and the second truck was promptly provided. 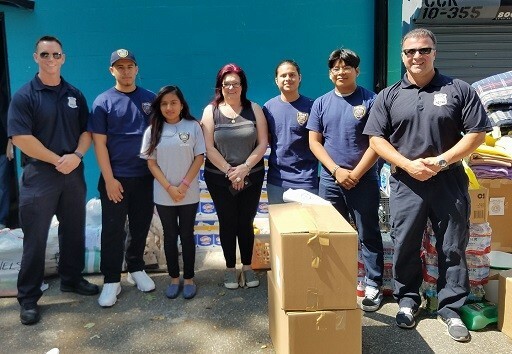 So many volunteers helped with the collection, storage and loading of the supplies; among them members of the N.Y.P.D., the Nassau County P.D., Massapequa’s Fire Department, Lions clubs from both Long Island Districts and some even from upstate New York. The local community was also not shy in giving a helping hand and both trucks brought the much needed provisions, all 110,000 pounds of them. As Sue Piccolo stated, “The water was not receding fast enough; it did not have a place to go. Flesh-eating disease started to pop up in various locations and these supplies were essential to a proper response to this tragedy.” Regarding this aspect of the destruction hurricane Harvey had brought, medicines were in high demand and short supply, so Sue located a nurse, Mary, who provided contacts to supply much needed medicines to Beaumont Hospital in Houston. 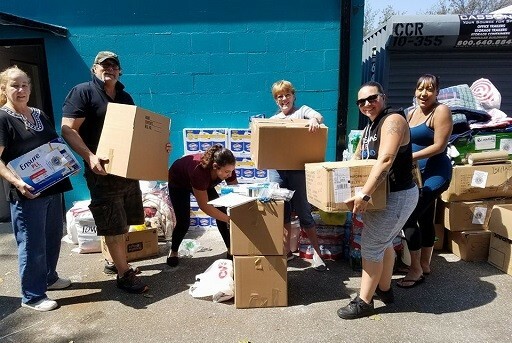 After these laudable efforts by the Long Island Lions and the community they serve, one would think they would lay back for a while, but the arrival of two hurricanes in Florida and Puerto Rico (Irma and Maria) presented a dilemma to Sue: could they ignore this second attack from Mother Nature just because energy was low and it felt awkward to ask people for more donations? Well, Sue and her friends did not have time to sleep over this conundrum and they decided that a response was necessary, even if they had to be the only one to do it. 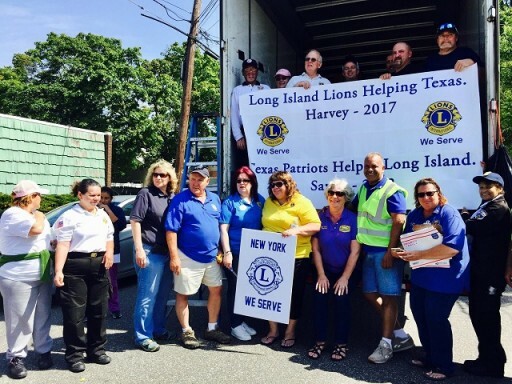 The love that the community has shown her and the Massapequa Lions over the years, though, proved once more alive and well, since $1425 were promptly collected for Florida along with 15,000 pounds of supplies for Puerto Rico, proving this generous and extended effort on the part of the Long Island Lions and their surrounding community a real success and confirming that brotherhood is still alive in America.